There were several important reports on the U.S. economy released this morning. 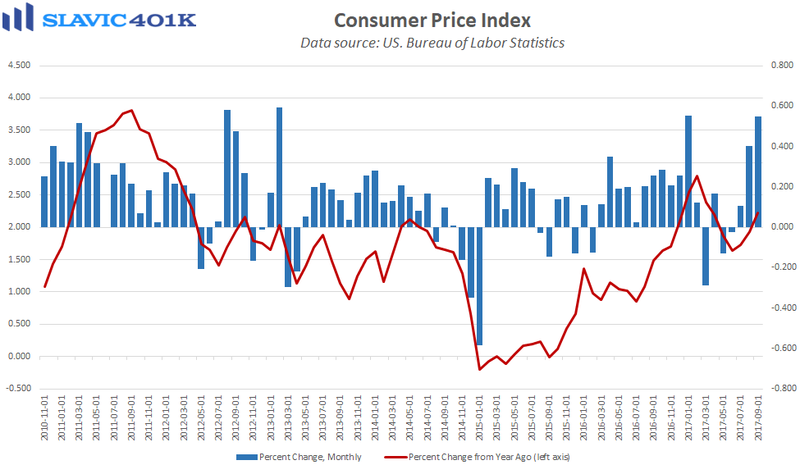 First, data from the Bureau of Labor Statistics (BLS) showed that household inflation pressures firmed in September, as the consumer price index (CPI) for all urban consumers rose by 0.5 percent. That was the biggest monthly increase since the start of the year but below analysts’ expectations. Much of the headline gain last month was driven by energy prices, which jumped by the most since June 2009 due in part to hurricanes Harvey and Irma. 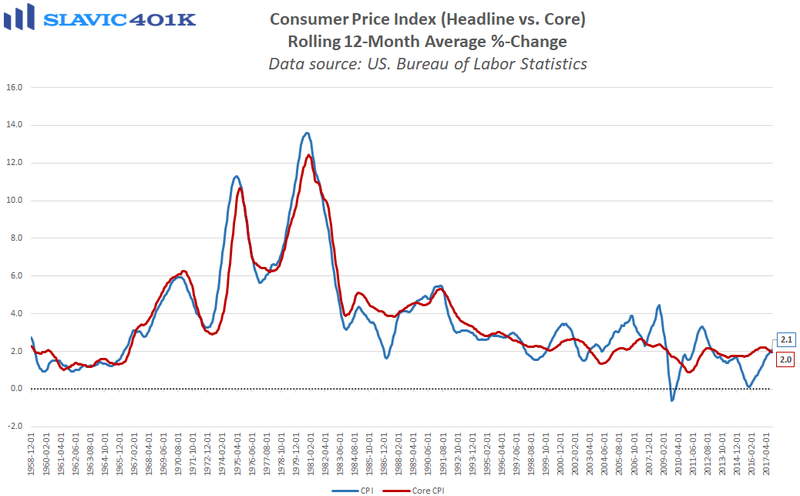 As for “core” CPI, which excludes food and energy, this less volatile measure of inflation lifted by 0.1 percent last month. That was also below expectations but likely not soft enough to significantly lower the likelihood of another interest rate hike from the Federal Reserve later this year. Also of note, the last three months of data for the consumer price index for urban wage earners and clerical workers (CPI-W) suggest that the nearly 67 million Americans who receive Social Security benefits or Supplemental Security Income payments will enjoy a cost of living adjustment (COLA) of 2.0 percent in 2018, the largest COLA since 2012. 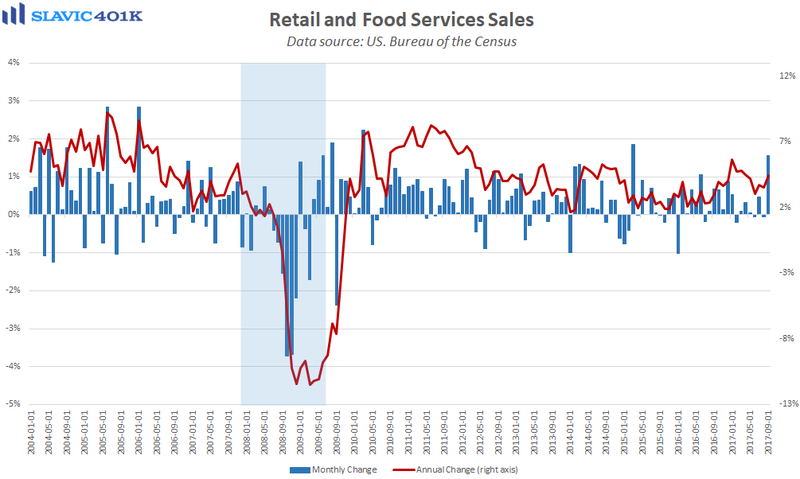 Next, a report from the U.S. Census Bureau showed that advance estimates of retail and food services sales in September totaled $483.9 billion. That was a 1.6 percent jump from August’s upward-revised print and the largest monthly gain since March 2015, albeit slightly worse than expected. Much of the headline strength was due to the higher gasoline prices and damaged automobiles needing to be replaced that resulted from hurricanes Harvey and Irma. 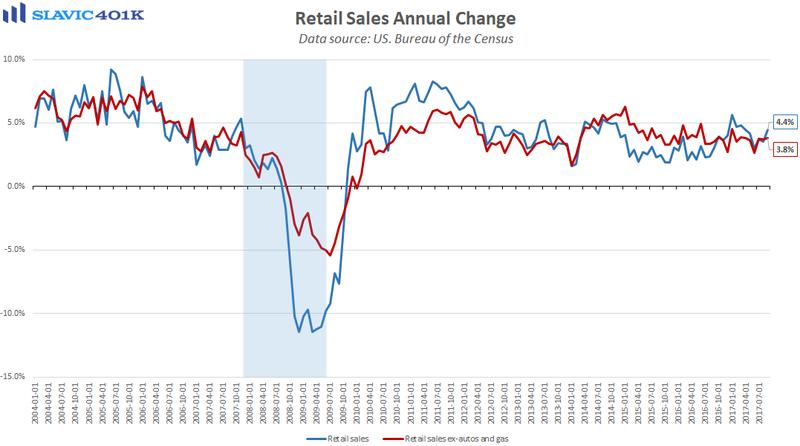 However, even core retail sales, which exclude the volatile autos and gas components, rose by a better-than-forecast 0.5 percent last month. 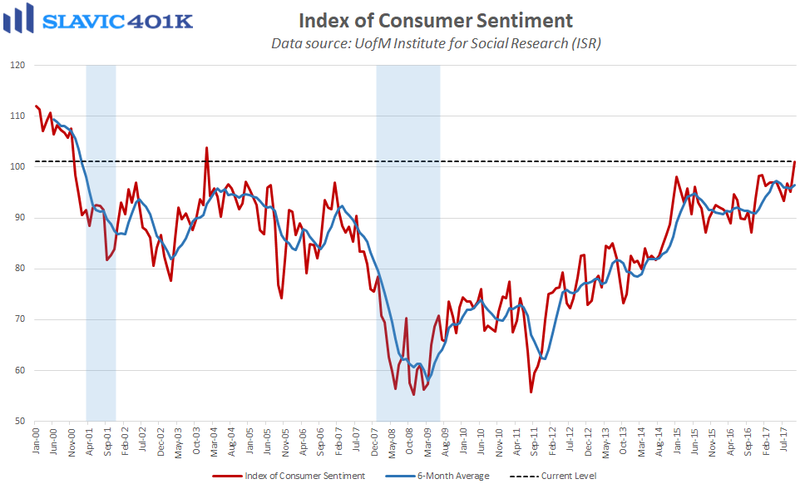 This broader retail strength highlights the positive impact a healthy labor market and firming wage growth can have on consumer spending.